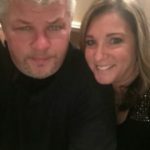 Sherri Underland, who co-owns an AAMCO transmission repair franchise in Levittown, Pennsylvania, with her husband, Sam, has seen the iconic AAMCO brand evolve to help increase the level of profitability for franchisees like her. 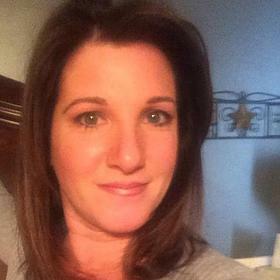 Since franchising with AAMCO in 2008, Sherri has witnessed the significant investments that AAMCO has made on behalf of our owners to help ensure that our brand remains the industry leader — not only in transmission repair, but also in Total Car Care — for decades to come. What were you doing before AAMCO, and why were you looking for a change? I have an extensive background in accounting, and my husband was a technician in a dealership. 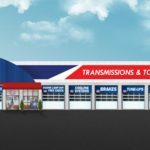 We have owned our transmission shop since 2002. In 2008, we decided to convert to AAMCO because of the value it would bring to our business. With AAMCO we have national branding and national support. Even though we the run the day-to-day business ourselves, we have support of the brand behind us. 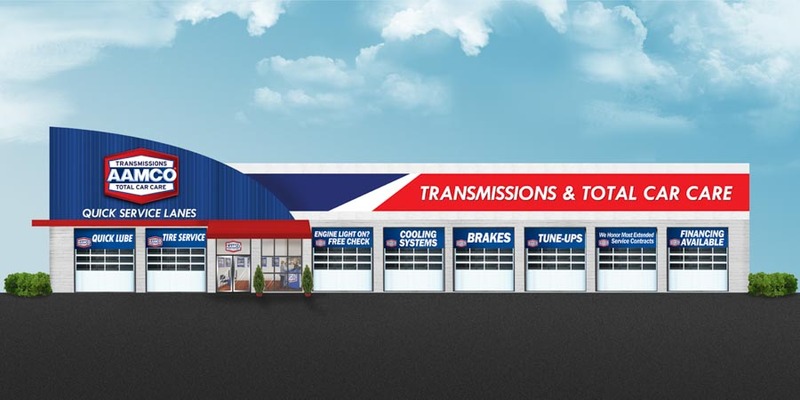 Since we decided to become AAMCO transmission franchise owners, the level of support that AAMCO offers to its franchisees has only gotten better. In 2008, we had to have two transmission builders on our staff — which was expensive and meant that we were relying on those two builders alone. AAMCO then partnered with Global Powertrain Systems, which allows us to send off our transmission repair work to their remanufacturing facility. Now that we have GPS, we can have one builder who can come in to do some repairs, but we send the more complicated transmission repair work to GPS. This saves us time and money, and it allows us to focus on the Total Car Care aspect of our business. What led you to franchising, and to choose AAMCO? We decided to invest in a franchise system because of the potential financial rewards it could bring us. When we did our research, we learned it was a great thing. Now that AAMCO has a partnership with GPS, the business model is so simple that I could still run a successful business even if I didn’t have my husband to help me. The benefits of the partnership with GPS are endless: there is a better warranty that we can offer our customers, and we are saving the salary that we would have to pay a builder — plus it reduces the challenges of maintaining a specialized labor workforce. The thing that I love about the AAMCO transmission franchise network is that I have friends across the country who are doing the same thing. At every AAMCO franchisee convention, I leave with at least one trip planned to visit a franchisee colleague. We have fun. We go on motorcycle rides. We travel together. On a more serious level, you have the support of other owners in your business. Some of these folks have been in this business for 30 or more years, and their experience is invaluable. There also is a franchisee association behind us, so every franchisee has a voice. If you have an issue, they are there to help you. We partner with corporate for initiatives. We have a national creative committee for television commercials, branding and how our internet systems are going to work. Franchisees in nearby regions create pools that advertise on the internet and on television. In short, with AAMCO, you’re never alone. AAMCO also is great about encouraging a real sense of family. Families are encouraged to attend the convention in the summer and the meeting in the winter. 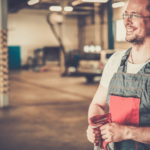 What sets AAMCO apart as a brand, and how does that benefit you? We have been around for over 50 years, and we’re still going strong. We are the largest transmission franchise in the world. If you don’t know “Double A-BEEP-BEEP-M-C-O, you haven’t been paying much attention. As far as transmission franchises go, this is it! When we started we only did transmissions. Now we do everything from inspections, engines, brakes, driveline — you name it, we do it. The Total Car Care aspect of our business is really evolving, and it’s where we need to go to maximize profitability. You need to be there, to be present in the business. You need to have good people in place for good feedback. You need to follow the system — it’s a proven business model that is supported by the corporate team. AAMCO CEO and President Brett Ponton and his team are really putting together great way to track our performance, and they are very invested in how our store performs. I don’t think you need to be there all day, though. My husband’s stepson is our manager right now, and I take care of the back-end work. AAMCO has a lot of family-owned businesses: there are a lot of father-and-son teams and a lot of multigenerational AAMCO franchises. AAMCO is something great to pass down to your children — AAMCO is a great investment for their future. What has AAMCO ownership meant for you and your family? It has meant that we own our own business, but we are not alone. We are living the dream of being business owners. The business has exceeded our expectations: We travel, we can pay our bills, we live comfortably and we have taken care of our family. 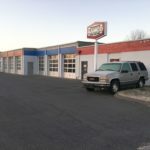 Would you recommend an AAMCO franchise to someone else? I would. With the team that Brett has put together, the tools they give you to help increase your profitability, the partnership with GPS, and the exceptional level of training we receive from AAMCO University — you can’t get much better than that.